Are we worship tourists or travelers? Travelers willingly immerse themselves in cultures even when they are radically different from their own. They adjust instead of expecting others to adjust to them. Inconvenience for a traveler is never inconvenient because it encourages discovery. 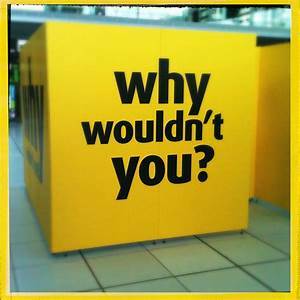 Travelers always dig deep and ask who and why. Tourists sample other cultures as long as they aren’t too different from their own. They expect others to adjust to them. Inconvenience for a tourist is always inconvenient because it discourages pleasure and preference. Tourists only scratch the surface and ask what, when and how much. The ultimate destination for tourists and travelers may be exactly the same. But the connection for the tourist is usually shallow and fleeting. And the connection for the traveler is always deep and continuous. The tourist endures the journey in order to reach the destination while the traveler values the journey as part of the destination. So what if we approached worship as travelers on a continuous journey instead of tourists visiting a site for pleasure? The bandwagon effect occurs when the application of beliefs, ideas, fads or trends increases the more others have already adopted them. Churches even have the tendency to espouse certain behaviors, styles or attitudes just because it seems like everyone else has. The implication being that since it is right for so many others, it must also be right for us. During the 19th century, an entertainer named Dan Rice traveled the country campaigning for President Zachary Taylor. Rice’s bandwagon was the centerpiece of his campaign events, and he encouraged those in the crowd to “jump on the bandwagon” and support Taylor. The campaign was so successful that Taylor was elected president, prompting future politicians to employ bandwagons in their campaigns in hopes of similar results. Jumping on the bandwagon explains why there are fashion trends. During sports championships it is evident in the increase of fans. In health it shows up in the latest diet or fitness craze. In social media it is obvious in the number of app or platform downloads. In music it is measured by iTunes rankings. And in worship it is usually apparent in the song set. The theological implication of a church that jumps on the latest worship bandwagon is that it sometimes ignores or overrides its own beliefs, cultures or contexts just because others are doing it. So instead of encouraging spirit and truth worshipers it creates liturgical lemmings. Congregations often need to and should be making regular worship adjustments. And some of those changes might actually include the latest songs, styles or technological tools. But instead of immediately jumping on the newest worship bandwagon because it seems like everyone else is, congregations should instead discern and determine their worship adjustments through praying together, reading Scripture together, coming to the Lord’s Table together, mourning together, rejoicing together, sharing ministry together, playing together and then singing their song sets together. I love, appreciate and revere my family. I am grateful I get to be their husband and dad. I think about them often and can’t imagine life without them. Our story is something I enjoy celebrating and telling others about every chance I get. 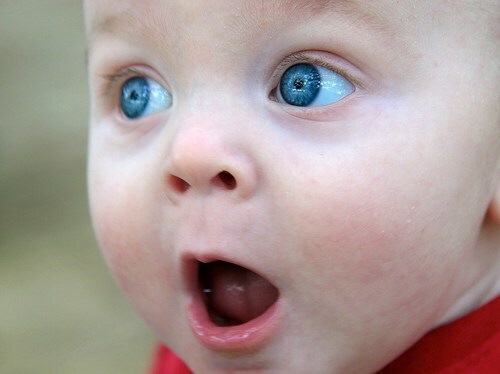 As a result of that gratitude, what if I used the worship service this Sunday just to exalt my family? So instead of worshiping the Father that day, what if I planned the entire service to celebrate and sing the praises of my family? If idolatry is extreme devotion to anyone or anything that isn’t God, then replacing the cross with the American flag as the primary symbol of our worship can cause us to stray into idol territory. 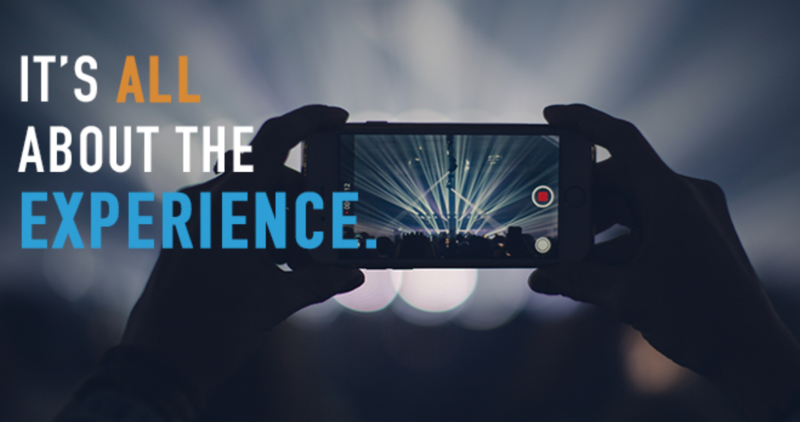 Christian worship is stepping into God’s story instead of expecting Him to step into ours. His story and our response to that story transcends Americanism. We can still pay homage to our country and those who sacrificed so we can live freely without ignoring Christ who sacrificed so we might live eternally. Harold M. Best, Unceasing Worship: Biblical Perspectives on Worship and the Arts (Downers Grove: InterVarsity, 2003), 17. The psalmist points out that God takes pleasure in the praise of his people through music… “Let them praise his name with dancing and make music to him with tambourine and harp. For the Lord takes delight in his people” (Psalm 149:3-4). Zephaniah wrote, “the Lord our God is with us and rejoices over us with singing” (Zeph 3:17). So if the Father takes pleasure in our praise and sings over us, are there certain musical genres in which he takes more pleasure or conversely, doesn’t like? Many of us assume the styles we like and don’t like answers that question. Scripture, however, speaks to the issue of worship that is or isn’t pleasing to God on several occasions. The prophet Micah condemned Israel’s dishonest, corrupt, and meaningless worship by pointing out what God considers good worship and what he really requires, “He has told you, O man, what is good; And what does the Lord require of you but to do justice, to love kindness, and to walk humbly with your God” (Micah 6:8). Amos criticized music that is ego driven when he wrote, “I can’t stand your religious meetings. I’m fed up with your conferences and conventions. I want nothing to do with your religion projects, your pretentious slogans and goals. I’m sick of your fund-raising schemes, your public relations and image making. I’ve had all I can take of your noisy ego-music. When was the last time you sang to me? Do you know what I want? I want justice – oceans of it. I want fairness – rivers of it. That’s what I want. That’s all I want” (Amos 5:21-23 The Message). So claiming to know what music God likes because he surely likes what we know isn’t what pleases God. Scripture reminds us that his pleasure is not contingent on what we sing at all, but instead the condition of the heart from which it is sung. May the words of Paul be our prayer then as we sing our various styles of songs together, “Let the peace of Christ keep you in tune with each other, in step with each other. None of this going off and doing your own thing. And cultivate thankfulness. Let the Word of Christ – the Message – have the run of the house. Give it plenty of room in your lives. Instruct and direct one another using good common sense. And sing, sing your hearts out to God” (Colossians 3:15-16 The Message)! The legend is told that when Achilles was an infant, his mother dipped him into the river Styx to make him immortal. But since she held him by one heel, that spot didn’t touch the water so it remained mortal or vulnerable. An Achilles’ heel is now idiomatic for a point of weakness or deficiency in spite of an overall strength. So if ignored or disregarded, that weak spot could potentially lead to failure. As worship leaders, we’re not immune from our own Achilles’ heels. Relational instead of musical deficiencies seem to be at the root of most of those vulnerable places. And yet, we often invest the majority of our time and attention trying to improve musically only. Arrogance and Aloofness are two of those Achilles’ heels that if ignored could lead to conflict or even failure. The worship leader who leads from the impression that he/she alone has the ability and even right to be the sole proprietor of the worship service often cares more about elevating him/herself than helping the congregation participate in spirit and truth worship. So if you alone are holding onto the worship process as an arrogant gatekeeper that receives all the credit when something works, just remember that you’ll also receive all the credit when something doesn’t. Aloofness is a state of being distant, remote, withdrawn and even unapproachable. The word probably originated from the Dutch word loef, meaning “the weather side of a ship.” It was originally a nautical order to keep the ship’s head to the wind to stay clear of the shore or some other object. So the term has evolved to mean someone who is set-apart, cool, uninvolved, disinterested or indifferent. 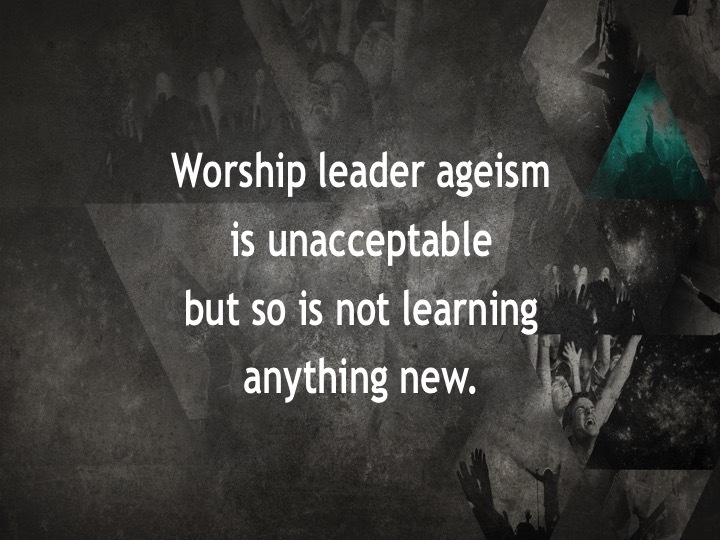 Worship leader aloofness can give the impression we are more concerned with how we lead than whom we lead. So it’s difficult to convey a deeper worship understanding to our congregations if we are trying to lead them from that set-apart artistic zone. Taking time to invest in the lives of others, however, can model a level of worship leadership that song selection and platform presence may never achieve. Worship leaders should spend more time thinking about how they lead off the platform than how they look on it. Richard James Foster wrote, “Just as worship begins in holy expectancy, it ends in holy obedience.” Foster is a Christian theologian, professor and pastor in the Quaker tradition. He is the author of numerous books on Christian disciplines, including Celebration of Discipline, named by Christianity Today as one of the top ten books of the twentieth century. As you evaluate your worship to encourage worship renewal, consider some of his worship quotes. If worship does not propel us into greater obedience, it has not been worship. Holy obedience saves worship from becoming an opiate, an escape from the pressing needs of modern life. Worship is our response to the overtures of love from the heart of the Father. Its central reality is found in spirit and truth. It is kindled within us only when the Spirit of God touches our human spirit. If the Lord is to be Lord, worship must have priority in our lives. The divine priority is worship first, service second. If worship does not change us it has not been worship. Adoration is the spontaneous yearning of the heart to worship, honor, magnify, and bless God. We ask nothing but to cherish him. We seek nothing but his exaltation. We focus on nothing but his goodness. Forms and rituals do not produce worship, nor does the disuse of forms and rituals. We can use all the right techniques and methods, we can have the best possible liturgy, but we have not worshiped the Lord until Spirit touches spirit. In worship an increased power steals its way into the heart sanctuary, an increased compassion grows in the soul. Could you imagine the outcry from pastors and parishioners if sermons were limited to once a quarter or only on special occasions? We would obviously never hear such a suggestion in response to the Verbal Word of a sermon but often hear it in response to the Visual Word of Communion. Our argument for the infrequency of Communion is so that it doesn’t become too ritualistic or repetitious and therefore, insignificant. But that is exactly what it has devolved into as we’ve continued to observe it as supplemental instead of foundational. Communion has become so mundane that it no longer calls forth the reality it symbolizes. So maybe it’s time to discover it again each time with such freshness that it would be like experiencing it for the first time. We must stop being afraid of making too much of the Table that we keep making too little of it. Because observing it actively instead of passively or foundationally instead of supplementally doesn’t change the physical characteristics of the elements…it changes us. Repeating Communion frequently doesn’t minimize its value, it enhances it. Repetition allows us to go this time where we might not have had the resolve to go last time. Because this ordinance is sufficiently deep, it allows us to swim more deeply no matter how many times we step into it. Communion reminds us not only what Jesus did but also what He continues to do. Each observance gives us another chance to recall the story of His life, the sorrow of His death, the joy of His resurrection and the hope of His return. So we can’t possibly go that deep when we limit it to one time a quarter. Adapted from Kenneth Chafin, “Discovering and Preaching the Ordinances Again for the First Time,” in Proclaiming the Baptist Vision: Baptism and the Lord’s Supper, ed. Walter B. Shurden (Macon: Smyth & Helwys, 1999), 129. Adapted from Timothy L. Carson, Transforming Worship, (St. Louis: Chalice, 2003), 57. When we can’t possibly find the words, we are reminded that a text has been prepared for us. When disaster threatens to consume us, the psalmist has written words to express our deepest despair. When our hymns and songs fall short with clichéd platitudes, those songs framed in biblical text communicate for us. So when we are faced with an utter loss of words and an oversupply of volatile emotions, we best rely not on our own stuttering speech, but on the reliable and profoundly relevant words of the Psalms. When we ignore these emotions, we are communicating two messages: you must not feel that way, or you must not feel that way here. If authenticity is a goal of our worship, then we must honestly and publicly admit we don’t get it. We must honestly and publicly admit our hopelessness. We must honestly and publicly admit events can shake our faith. We must honestly and publicly admit that a façade of superficiality is disingenuous. We must honestly and publicly admit that not honestly and publicly admitting those feelings is dishonest. And we must honestly and publicly admit that God expects this language and is not threatened by it. John D. Witvliet, “A Time to Weep: Liturgical Lament in Times of Crisis,” Reformed Worship 44 (June 1977): 22. Walter Brueggemann, “The Friday Voice of Faith,” Calvin Theological Journal 36 (April 2001): 15. Martha Freeman, “Has God Forsaken Us?” The Covenant Companion (November 2001): 8. If doubters are expected to resolve their doubts outside of our worship services, then why would they want to attend those worship services once they do resolve them. 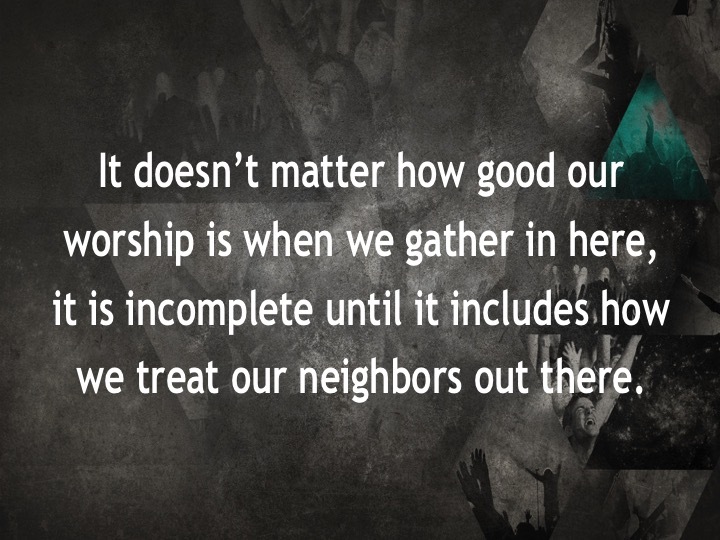 And if our public worship is not the place for that intimate soul and spirit transparency…where is? Three days after Jesus had been killed and buried, friends of the eleven disciples went to the tomb and found it empty. They encountered an angel who told them Jesus had been raised from the dead. The angel instructed them to meet Jesus in Galilee. So the disciples traveled to the mountain and when they saw Jesus, they worshiped, but some doubted (Matt 28:16-20). The text doesn’t say, “some of them worshiped and others doubted.” They doubted even as they worshiped. And it was obvious that those doubts were not held in secret since Matthew recorded them. So their doubts didn’t preclude or exclude them from the public worship of Jesus. So how did Jesus respond to their worship and doubts? The text says “Jesus came near.” He didn’t just come near to those who had it figured out. He didn’t set aside the others until they got it figured out. He just came near. Then he commissioned them…all of them to go and make disciples. And he ended his commission by reminding them that he would be with them, obviously with or without their doubts. Many of our congregations have been conditioned to believe it is somehow more spiritual to avoid rather than express doubts. But if some of the disciples could worship the risen Lord face to face and still doubt, then how can we expect not to. If our worship is truly authentic it must embrace and walk with the various seasons of people’s lives. Jesus came near when that occurred and so must we. By precept, example and experience, teaching proclaims or makes something known. It exhorts, exposits, affirms, corrects, advocates, instructs, responds and applies. Teaching communicates to us and through us. Admonition urges us to do our duty. It reproves, advises and counsels. Admonition seeks to correct our thinking and right what is wrong to improve our spiritual attitudes. It instructs in order to re-direct our thoughts or actions. Our worship songs should teach and admonish us by quickening the conscience through the holiness of God, feeding the mind with the truth of God, purging the imagination by the beauty of God, opening the heart to the love of God and devoting the will to the purpose of God. 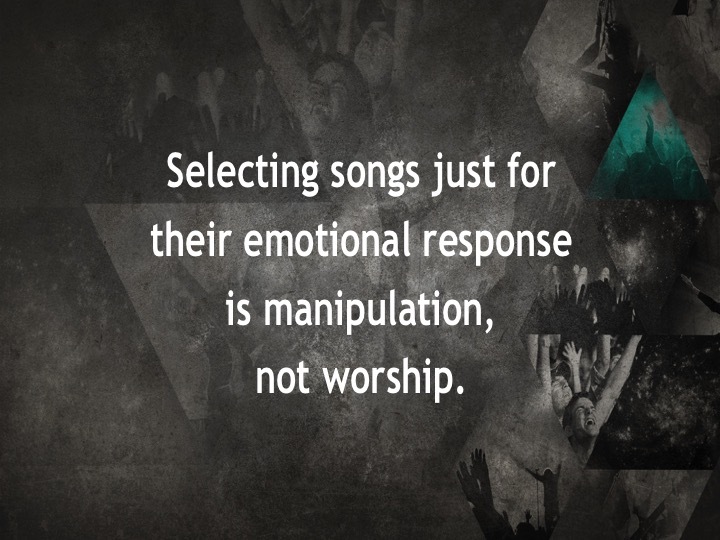 So if the worship songs we select aren’t complementing, resonating and emulating these same principles, we probably need to select different songs. Connect the Word of God to the people of God. Scripture is foundational, not supplemental to our worship songs. Consequently, we must always ask if our song text is theologically sound and if it affirms Scripture as central. The dialogue of worship is formed when God’s Word is revealed and we respond. The result is a vertical conversation with God and horizontal communion with others. So songs that do not contribute to this dialogue are songs we shouldn’t use. Every song we sing must invite the congregation and guests to be a part of God’s story through Jesus Christ. Our songs should help us understand what God is up to in and through our lives in the name of Jesus. Those songs must sing of the ongoing and enduring work of God through his Son. And they must constantly remind us that Christ has died, Christ is risen and Christ will come again. Are easy to follow and understand. If congregants can’t follow and understand our songs, then they will have a hard time being taught and admonished through them. We can’t be influenced and moved to respond to something that we can’t decipher. So archaic or colloquial text should be filtered and melodies should be evaluated for singability. Songs that teach and admonish communicate biblically, theologically and doctrinally. So our songs must be sung externally from conviction that begins internally. It must be evident that our songs reflect what we believe and practice. Singing with integrity means our lives replicate the texts we sing even when we aren’t singing them. Scripture encourages us to love the Lord our God with all our heart, soul, mind and strength. Songs that just stir the emotions are incomplete; Songs that do not begin from the depth of our soul are often trite; Songs that don’t require us to think are shallow; and Songs that don’t ask us to use our bodies as a living sacrifice in acts of service are selfish. Songs that teach and admonish not only inspire us through hearing but also challenge us in our doing. They must not only inform the congregation but also engage them. Songs that teach and admonish should cause us to ask what we are going to change or do as a result of singing them. So singing our songs in here is not enough until they also impact who we are out there. Adapted from a quote by William Temple, Archbishop of Canterbury 1942-44. 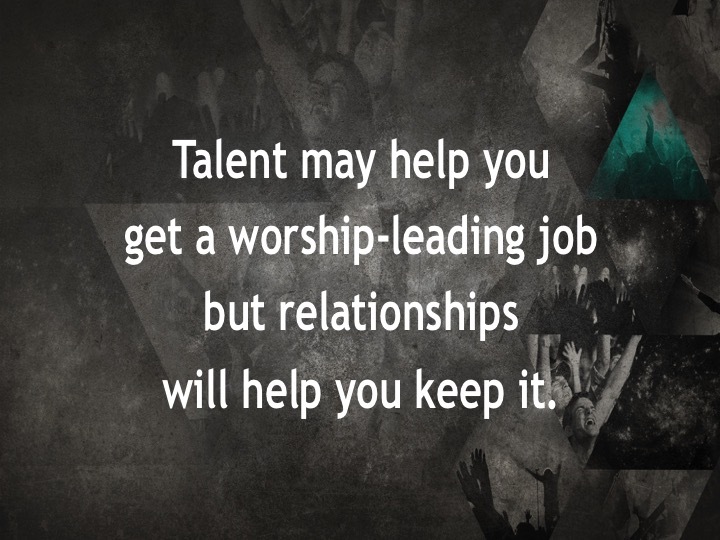 Musical ability may help you get a worship-leading job but relationship skills will help you keep it. So since most derailments have more to do with leadership, relationship and communication failures than musical ones, maybe it’s time to rehearse some of the following skills as much or more than you rehearse your music. Learning more new names than new songs. Appreciating what could be without depreciating what was. Putting your guitar down long enough to communicate. Offering grace even when it’s undeserved. Filtering responses theologically before musically. Changing your attitude before changing the music. Making more deposits than withdrawals. Collaborating, uniting, communicating and then repeating. Spending more time scripturally before leading musically. Is Hallmark Planning Your Worship Services? Some congregations and even entire denominations have not embraced the Christian Calendar as foundational to their worship planning and implementation out of concern that it is too rigid, routine or orthodox. So in their desire to be non-liturgical they have in fact created their own liturgy framed by Hallmark or denominational and civic calendars. In the Middle Ages the church calendar was filled with such a multitude of saint’s days that the value of festivals like Christmas, Easter, and Pentecost were lost. Some of the Reformers such as John Calvin, in response eliminated the entire church year. Other Protestants responded similarly and in the sixteenth century the Puritans rejected even Christmas as a festival day. As Protestant congregations began again to commemorate special days they focused on cultural and denominational calendars instead of the Christian one. So as the antitheses to what was considered Catholic, these civic days were given as much or more credibility as the days of the Christian calendar. But as some of these congregations avoided the Christian calendar they were at the same time affirming some annual observances whose foundations were not always biblically grounded. God has placed each one of our congregations in a unique cultural and national context. So worshiping while giving consideration to those contexts is one of the exciting challenges for a modern church. As long as Christian worship is our starting point it will provide us with the opportunity to take up that challenge without compromising our biblical and theological foundations. So why couldn’t we celebrate Mother’s Day, Graduation Sunday and Memorial Day in the same seasons as Ascension Day and Pentecost? Without ignoring one or the other, it is possible to converge holidays significant to our civic and denominational calendars with those Christian holidays significant to the Kingdom. Barry Liesch, People in the Presence of God: Models and Directions for Worship (Grand Rapids: Zondervan, 1988), 223. Robert E. Webber, ed., The Complete Library of Christian Worship Vol. 5, “The Services of the Christian Year” (Peabody, MA: Hendrickson, 1993), 82-83. 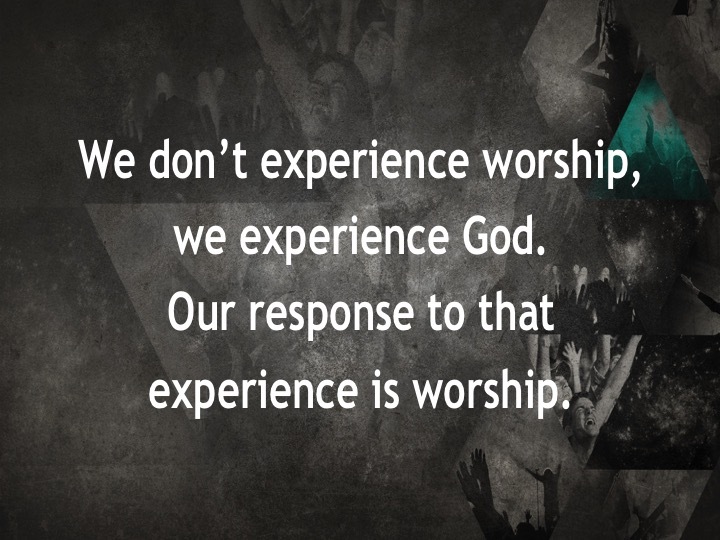 The purpose of our worship isn’t to teach musicianship or make great music. Learning to sing parts, follow a melodic line and internalize rhythms are all skills that can enhance our worship. But those skills are a means to the end, not the end. The theoretical study of the elements of music including sound, pitch, rhythm, melody, harmony, time and notation can enrich our worship. But understanding those elements isn’t necessary for worship to occur. So worship service music that focuses on theory alone without moving to the application may be great music, but not worship. The sole emphasis on music as our only worship offering may have actually hindered our worship understanding and exacerbated our worship conflicts. 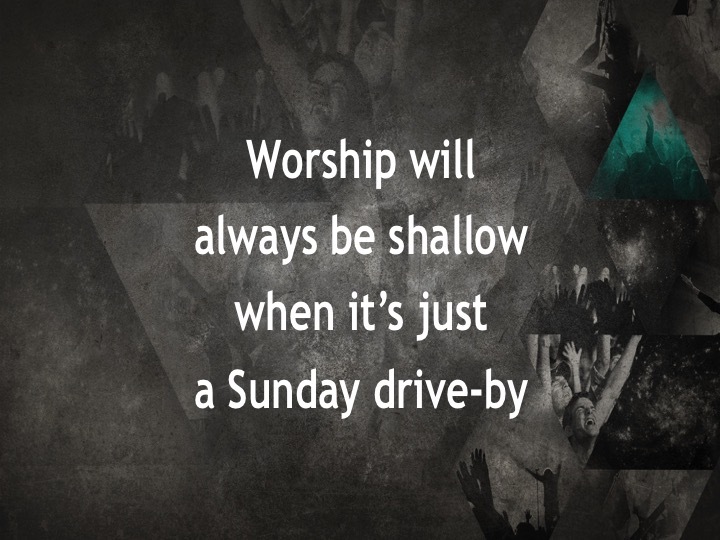 Music and worship aren’t exclusively synonymous. One is mandatory, the other isn’t. Music is an artistic expression given to us so that we might offer it as a gift to God. But it isn’t the expression. So considering additional artistic options could alleviate the pressure on music to serve as the primary driver of worship renewal and consequently diminish its solitary blame for worship conflict. Kairos or God moments might occur in our song selections but they’ve already occurred in Scripture, Prayer and the Table. So why are we reading, petitioning and gathering at the Table less in order to sing more? Biblical text must be the foundation from which our songs spring forth. Prayer is not just a song connector; it is a divine conversation that gives us a reason to sing in the first place. And two relationships we try to create with our song sets are available at the Table: The vertical communion with Christ and the horizontal communion with each other. So music is an addition to, not a substitute for these Kairos moments. He has called us out of darkness into His marvelous light that we may declare His praises (1 Peter 2:9). If God is calling and we are declaring, then the invitation to show up is from Him not us. Our music can acknowledge His presence but it can’t generate it. It can respond to His presence but it can’t initiate it. It can celebrate His presence but it can’t create it. If our worship starts when we sing the first song and stops when we sing the last one, then what are we doing the other 167 hours of the week? Loving God with heart, soul, mind and strength and also loving our neighbors as we love ourselves means worship must be continuous. Worship can’t be contained in a song set, single location, context, culture, style, artistic expression or vehicle of communication. So it doesn’t matter how good our worship is when we gather, it is incomplete until it continues when we scatter. A Paradox is a statement that contradicts itself or a situation that seems to defy logic. A Doxology is a liturgical action or expression of praise and worship to God. When the two are combined the result is a Paradoxology or liturgical action or expression that contradicts itself or seems to defy logic. 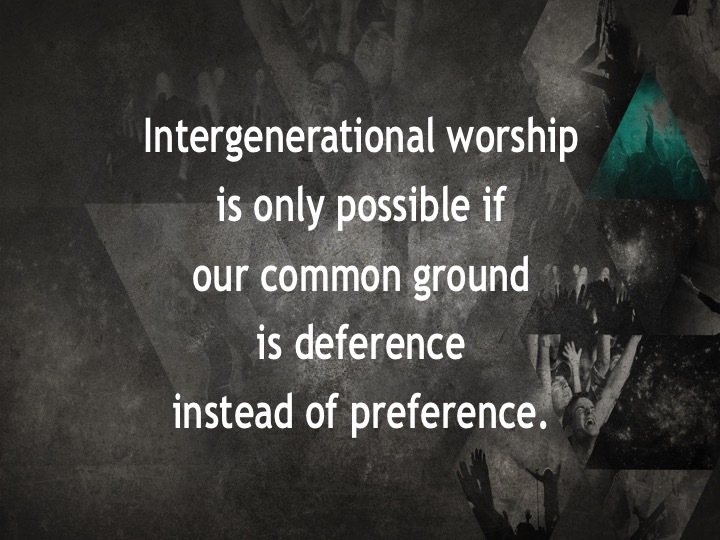 A song’s age determines its worship relevance. Less Scripture and prayer gives more time for worship. A sermon follows the worship. We didn’t like worship today. Worship music is always louder when you don’t like it. Changing worship will grow your church. How to market your worship.